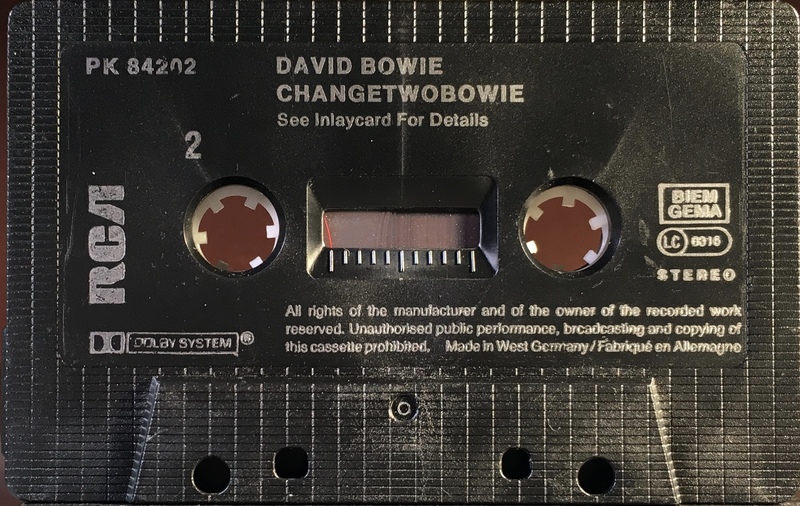 Changestwobowie: Greece; RCA, CI-TC-RCLP 20230; 1981. The cover has a white border with pink stripes, three panel folded thin, treated card with track list on rear and inside panels. Yellow spine and white rear panel. 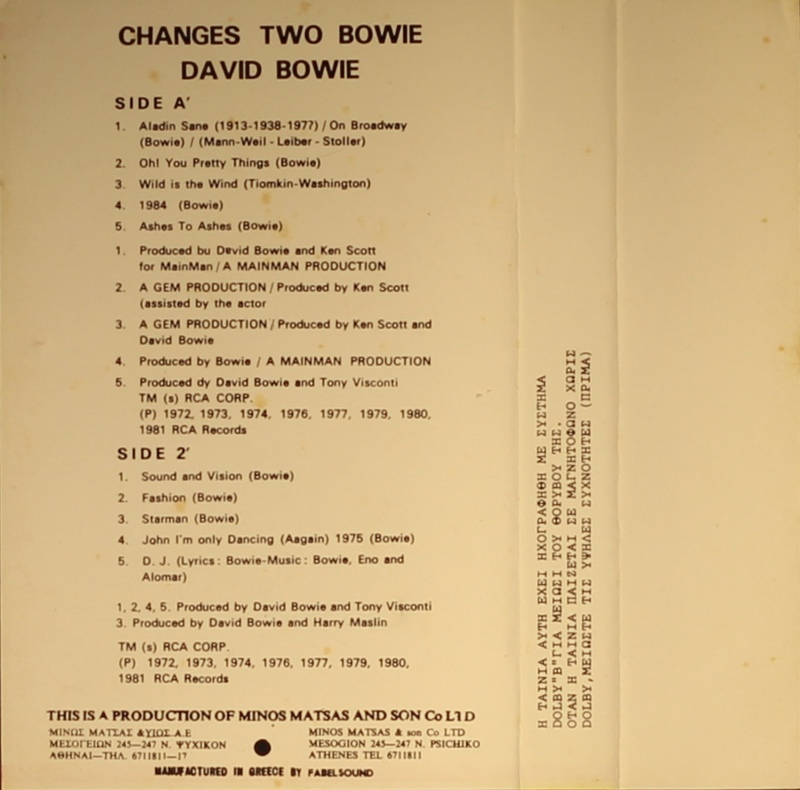 ‘On Broadway’ listed separately to ‘Aladdin Sane’. Black ink printed directly onto grey shell with circular RCA logo. 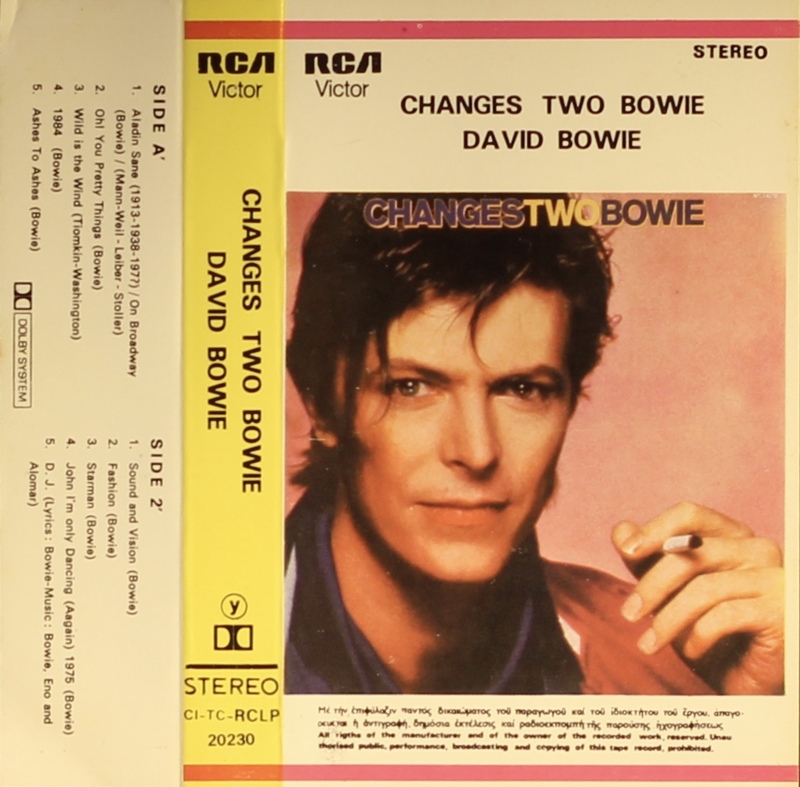 The track sequence is different from the original LP. 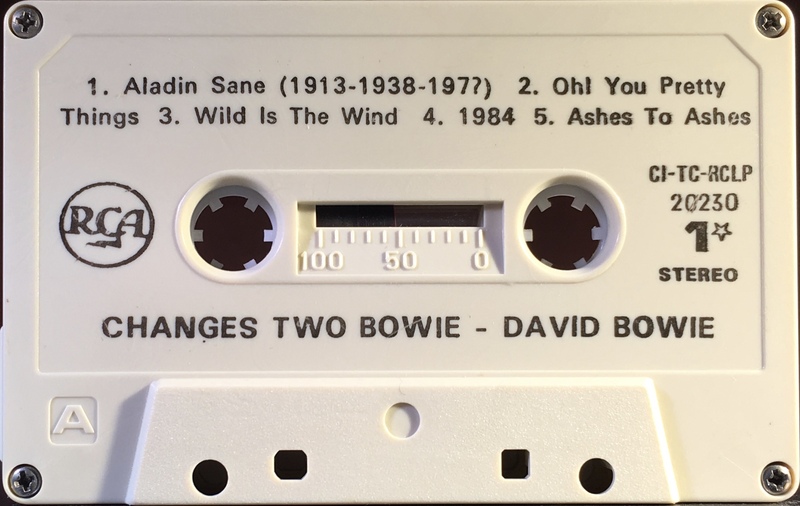 Side 1: Aladdin Sane (1913-1938-197? )/ On Broadway; Oh! You Pretty Things; Wild Is The Wind; 1984; Ashes To Ashes. 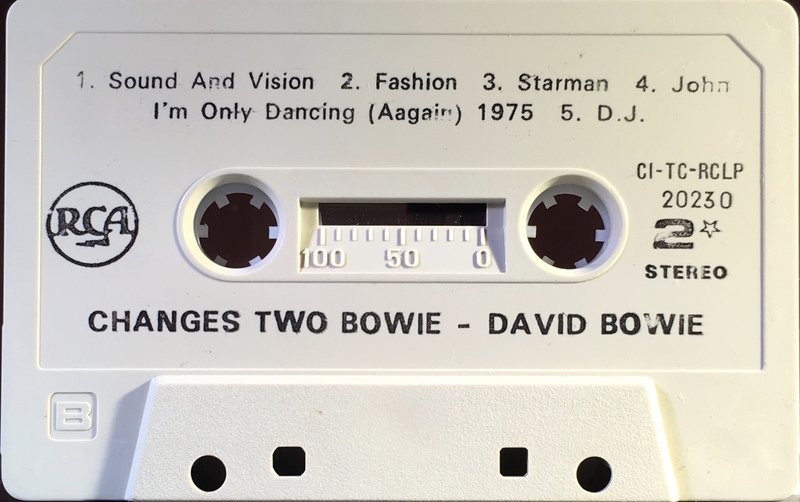 Side 2: Sound And Vision; Fashion; Starman; John,I’m Only Dancing (Again) 1975; D.J. Greek RCA issues have manufacturer rights information in Greek and English on the front; noise reduction information on the inside cover and a duty band around the cassette box itself; the first part of the duty band shown translates roughly to the tape being a recording of the Greek phonographic federation and the seal shows it to be authentic and legal, and the seller and buyer will be prosecuted for selling tapes not so marked; and the second (signed) part of the band says that the tape is made in Greece and taxes have been paid on it. The spine shows IFPI the stamp of the International Federation of the Phonogrphic Industry of Greece.